As cruise lines continue to evolve and travelers' expectations grow, cruisers now expect immersive experiences, exciting new destinations, authentic adventure, and additional value packed into their luxury vacation. 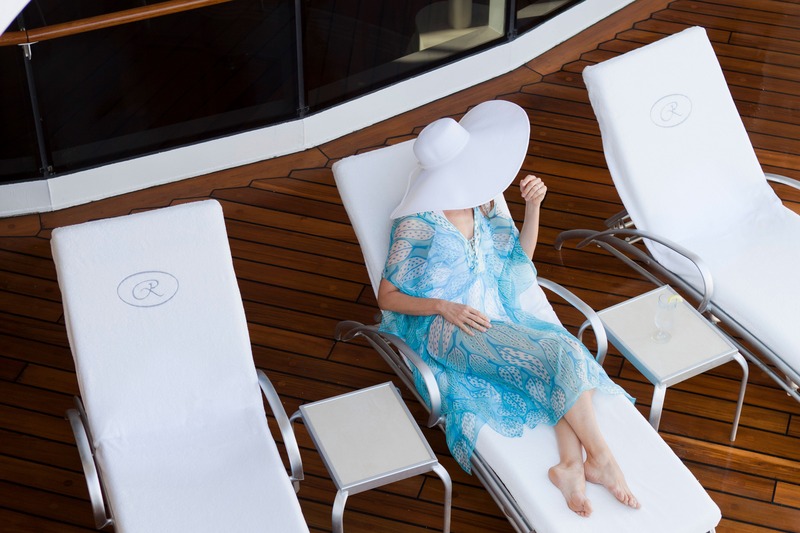 If you enjoy elegance, service and all-inclusive style, but are looking to try something new, look no further - Regent Seven Seas Cruises is the unrivaled ultra-luxury cruise line that caters to your every whim. With unmatched luxury at an unbeatable value, plus exclusive savings and extra perks you can't get anywhere else, we know Regent is the perfect luxury line to try next. There are dozens of reasons why our experts recommend Regent with confidence - here are some examples of why we love this luxury cruise line. Why Choose Regent Seven Seas Cruises? Regent has long been absolute in its inclusiveness, providing you with the most enriching and luxurious journey on the seven seas. With every luxury included and exclusive perks on all voyages, plus extra perks for all new to Regent guests, discover a truly all-inclusive experience that delivers An Unrivaled Experience™ from the moment you book to the memories onboard. With all-inclusive fares, all suite ships and all your needs taken care of, an elegant voyage with Regent means you get everything included and don’t need to do anything except enjoy your travel. Recognized as one of the world’s premier luxury lines, Regent features 6-star, all-balcony state-of-the-art ships plus imaginative itineraries, unique shore excursions, superior service and an all-inclusive cruise experience for the most discerning guests. Insider Tip: With exclusive prices and extra perks for new to Regent guests on every voyage, now is the time to experience luxury without limits by CLICKING HERE. With Regent, your every want and every whim is taken care of, down to the smallest detail. This is cruising as it was meant to be - where even the most sought-after amenities are all included. 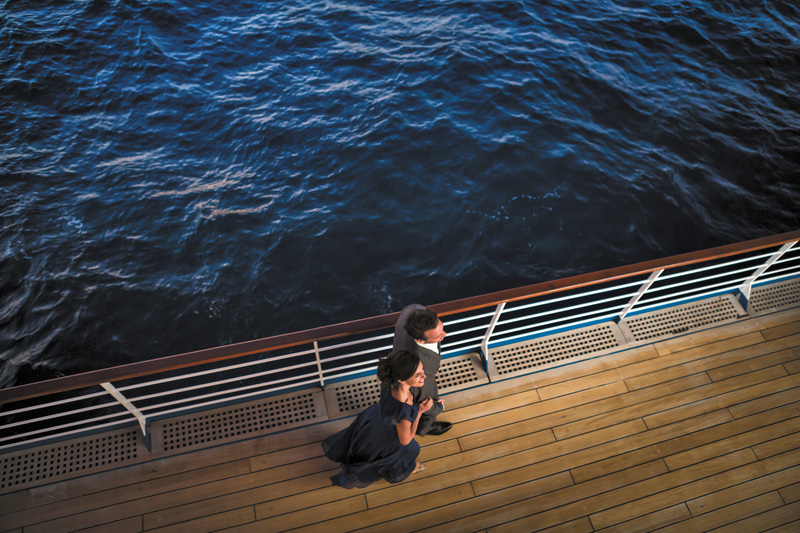 Experience the most luxurious ships at sea with everything included. All-inclusive fares cover your accommodations, airfare (on select sailings and staterooms), unlimited shore excursions, pre- or post-cruise hotel stay, specialty dining, unlimited beverages (including fine wine and spirits), in-suite mini-bar, prepaid gratuities, unlimited Wi-Fi and more! More than just the most luxurious ships, exquisite meals, refined service or exhilarating shore excursions, Regent aspires to give you everything. And so do we! Our experts know that a truly all-inclusive travel experience is about having every luxury taken care of, even before you board. Take your all-inclusive luxury travel to the next level by personalizing it from the start. Select from a variety of enhancements for new guests worth an additional $750 on top of the already low fares and added benefits from CruiseInsider. Mix and match from a variety of extra perks for new to Regent guests! From the first words spoken with our seasoned experts when booking your cruise to the genuine hospitality and attention to detail of Regent's outstanding crew, exceptional service begins long before you step aboard and will carry forward throughout your voyage. We believe luxury exists in the smallest details, the most attentive service and the most inviting atmosphere. Regent's elegant suites are among the biggest, boldest and most beautiful in cruising. It's the extra perks provided by our Regent experts before you even board. It's the little touches onboard in your suite and the elegant design details throughout the ship. It's luxurious suites adorned with the finest décor and best-in-class amenities. It's the perfect dining choices made exactly to your taste and created just for you. It's the specially-designed, one-of-a-kind shore excursions that allow you to explore the cultures, sights and cuisines of your destination in style. Your unrivaled experience on Regent is designed to fulfill your every request and exceed your expectations. Journey to the places you've always dreamed about. Regent provides passage to the great wonders of our world in a way unlike any other. From music, history and the culinary arts to wildlife and adventure, there are amazing memories to be created in every destination, whatever your interest. From Alaska to Asia, South America to the South Pacific, and everywhere in-between, enjoy remarkable journeys to the world’s most inspiring destinations with Regent. Insider Tip: Offering unlimited shore excursions, Regent Seven Seas Cruises lets you access every locale visited in ways you never thought possible, experiencing the history, culture and cuisine as much as you'd like. Bringing you the best in all-inclusive luxury begins with bringing you the most luxurious ships. Regent's award-winning fleet delivers style and class, from bow to stern, throughout every region of the world. Each ship features all-suite, all balcony accommodations with separate sitting areas. Ranging from opulent to over-the-top, there are no inside cabins, only elegant ocean views, all with custom furnishings and luxurious perks. 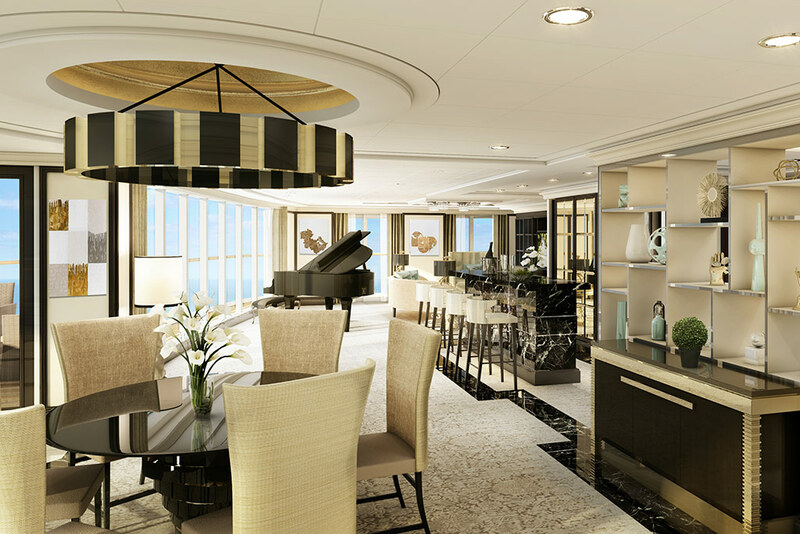 Regent is the most all-inclusive luxury experience in cruising. Understated elegant design. Large, stunning suites. Beautiful, curated works of art. Like-minded travelers. State-of-the-art fitness centers. Stunning cuisine at a variety of dining venues. Luxurious spa and pool areas. Enrichment and educational opportunities daily. Each stately ship offers limitless opportunities to enjoy your journey when cruising with Regent Seven Seas Cruises, however you desire to do so. CruiseInsider is a preferred partner with Regent Seven Seas Cruises. Our experts have actually sailed on Regent ships. Our team has won numerous industry awards from Regent. We know what truly makes Regent an unrivaled experience and will help you plan, perfect and save on your ideal journey. Enjoy the lowest fares, most shipboard credit and more extra perks than you’ll find anywhere else. With CruiseInsider behind your booking, your unrivaled experience and exceptional service begins long before you step aboard. Insider Tip: Get an additional $750 bonus for new to Regent guests to use on a variety of luxury add-ons like free luggage delivery service, complimentary custom air, a VIP airport liaison, pre-arranged car service, shipboard credit and more! We are your Regent Seven Seas Cruises specialists! With exclusive pricing, extra perks and a new to Regent incentive that you won't find anywhere else, it's finally time to book your very first Regent Seven Seas Cruise. Speak to a Regent expert at 1 (877) 734-6858 today to learn more about our exclusive new to Regent offer or click here to choose your extra perk! Register for our newsletter to receive exclusive deals, travel tips, InsiderExtras, and more! Copyright © 2010 - 2019 CruiseInsider.